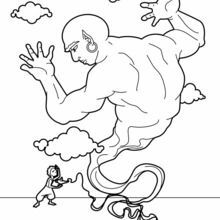 This picture depicts a genie like in the mythical story told in the famous Disney movie Aladdin. 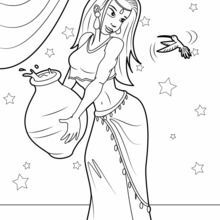 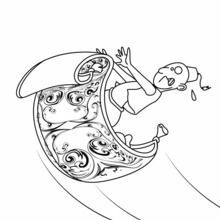 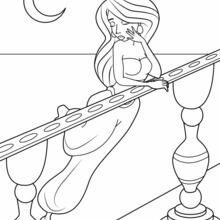 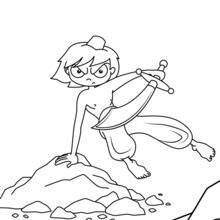 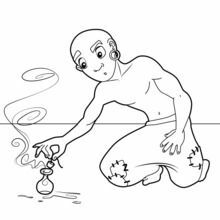 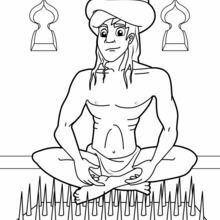 This genie potion coloring page can be colored online with the interactive coloring machine or printed to color at home. 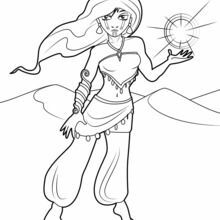 Genie's also make for fun Halloween costumes!